Liftupp is proud to be attending the ‘Annual Scientific Meeting’ ASME conference which is taking place this week in Exeter (https://www.asme.org.uk/conferences/forthcoming-conferences/asm-2017-exeter.html). We are also delighted to be sponsoring the ASME Annual Dinner at this event. 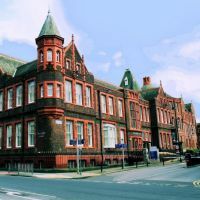 We are happy to announce that Dr Lisa Quinn, from the University of Leicester, will be giving a talk on her experience with the platform entitled ‘Capturing missed opportunities for feedback: a medical school’s experience of using Liftupp’ on Friday 23rd June at 10.00am in Room SR4. We are very excited to hear her speak this year. We look forwarding to meeting you all in Exeter – if you would like to meet with the Liftupp team to discuss your requirements, please come and find us in the Forum building or contact sunita.gordon@liftupp.com with a specific request or to schedule a one-to-one during ASME.